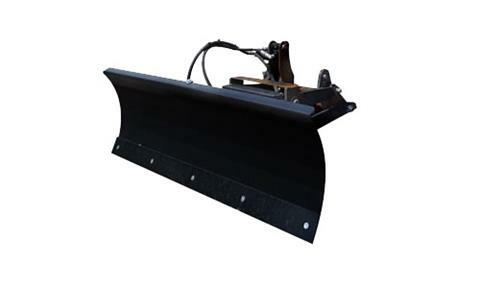 KIOTI dozer blades are available with a 2 HD Spring Trip Spring Mechanism, Standard ADJ Saucer Type Skid Shoes, Hydraulic Blade Angulation and Standard Hitch Quick Attach. Both KTT-DB60 and KTT-DB60M dozer blades are compatible with the CK2510 / CK2510H. At 30° angle - 51.75 in. Lift - +10 in, -6 in. Trip springs - 20 in. Reversible steel; 0.375 x 4 in.